Recently it was announced that smart thermostat maker Nest was offering a discount on their website for the Nest Thermostat, allowing customers to buy the current generation unit for $219, in recognition of Earth Day. This amounts to a savings of $30 off of the regular price. Matt Rogers, Nest's founder and Chief Product Officer, announced the temporary deal in a blog post this week, which revolves around upcoming Earth Day celebrations. 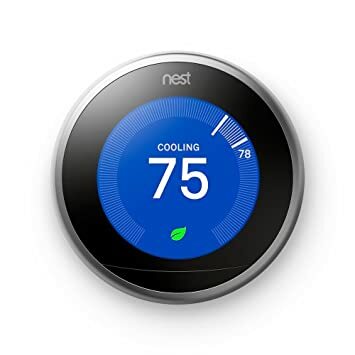 However, customers might be interested to know that Amazon, who is frequently known for trying to either meet most discounts, or beat prices, is also offering the third generation Nest Thermostat for $219 as well! Rogers said that the discount on their website would remain available to customers on their website until Earth Day, April 22. Whether or not Amazon will maintain the same price until then is uncertain. Since Nest launched in 2011, Rogers says that the device has "saved over 12 billion kWh of energy," which equals "enough to power New York City for 81 days." Many electric companies will also offer rebates to smart thermostat purchasers as well.